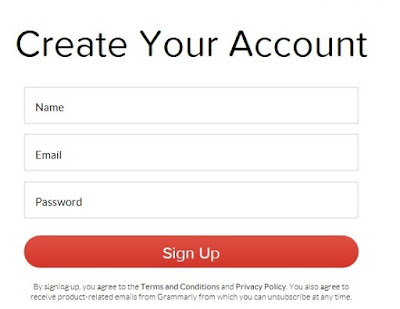 In this post, you will learn Grammarly create account and how to use it. Creating an account in Grammarly is not a tough work but it needs a proper guidance. If you are also one of them who are in the search of how to Sign up on Grammarly and use it to improve your English, writing skills, vocabulary, to proofread your written documents. Then finally today you have arrived on the correct page. 2. How can I create account on Grammarly? I have already written some articles on the Grammarly tool on this blog. So, by not wasting our time I would like to just give a bried intro of Grammarly to our new readers. In simple, Grammarly is an online tool that helps its users to improve their writing skills and make them able to write Error free writings. It detects your mistakes automatically and gives you the correct solution with examples. It woks everywhere online wherever you go to surf the Interenet. 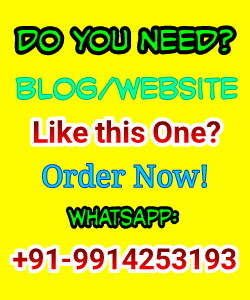 It finds your all type of Grammatical mistakes whether you are updating any post on your Facebook profile or writing any professional email to your superiors. 1. Click here to Sign Up on Grammarly. 2. It will open a page like this one. 3. Now click on Sign Up button. 4. Enter your details, like your name, Email address and password. 5. Now submit your info and you will be redirected to the next page and it will ask you for the payment. These days Grammarly is offering a huge discounts on their premium packages, so if you want to buy their premium package then you can choose the package according your budget. $29 for a monthly plan and $11 per month if you go for the yearly plan. 6. If you do not have budget to buy their premium package you can still use Grammarly account free. But in free account your critical mistakes will not be solved, so it would be better to go for their premimu package at least for 1 month. 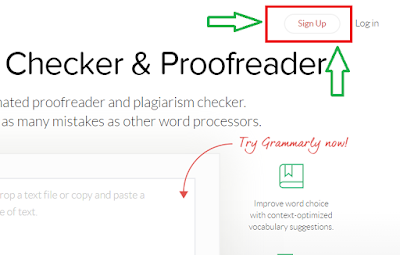 [Latest] Grammarly Review : Best and Easy Way to Learn Engslish Online! After completing the sign up page, you can login to your Grammarly account and then after you can upload any of your documents directly to Grammarly and it will help you to find and correct all your grammatical errors, punctiations, spelling mistakes, wrong vocabulary and other mistakes too. Amazing part is that, it does all the work automatically. I am sure you will love this tool. If you do not want to upload the documents you can copy paste your words in the Grammarly editor and it will find your all mistakes and provide you solutions. You can use it online also. Here is a video of How Grammarly works. How can I use it online? Yes, you can use it anywhere you go online with the help of their browser extension. After installing Grammarly's browser extension it will start monitoring you wherever you go online, like if you are updating a status on facebook and you make a mistake there, it will notify you the mistake. To download this extension, you will get a option to dowload Grammarly extension in your Grammarly account. I have given my best in this guide but still if you think something is missing from this post or need any additional help then let me know using below given comment box and i will reply your queries as soon as possible. I hope you have enjoyed this guide. If you like it then please do share this post with your friends too on your social profiles using below given social sharing buttons. Message: I hope that you have enjoyed 'How can I Create Grammarly Account? - Step by Step Guide' article. However, if you want me to deliver more items, then please share my post. You can use Social Sharing Widget provided at the end of every post. After all, Sharing is Caring!